Rich, fragrant and flavourful! 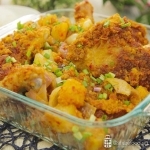 This Asian inspired recipe brings you the classic Laska flavour in the oven baked chicken. 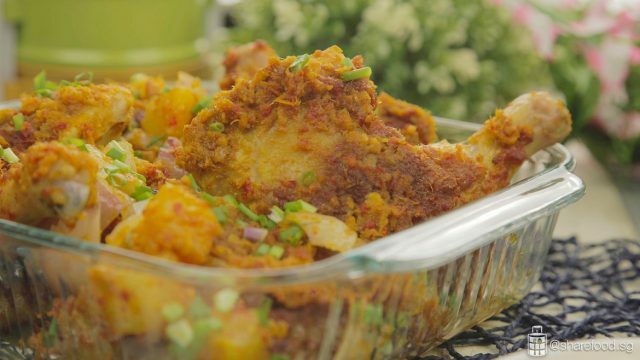 This Baked Laksa Chicken brings the familiar taste of local favourites to your dining table. Inspired by the Peranakan dish Laksa, a street food dish that is popular in Malaysia and Singapore. Surprise there's no laksa leaves? Well, that's because Laksa, generally means, Curry gravy served with rice or rice noodle. 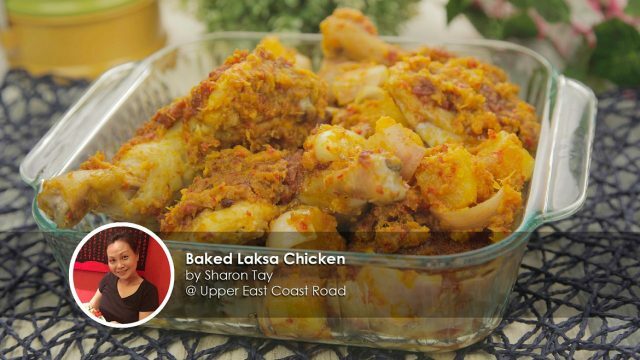 This recipe is created by Chef Sharon Tay who has more than 20 years of experience working in the F&B industry. She's an Italian chef who loves her family's Peranakan food. Hence she has created this recipe. Make small incisions on the chicken meat and insert the marinade into the incisions. Gently separate the skin from the chicken meat and spread the marinade between the flesh and the skin. Rich, fragrant and flavourful! 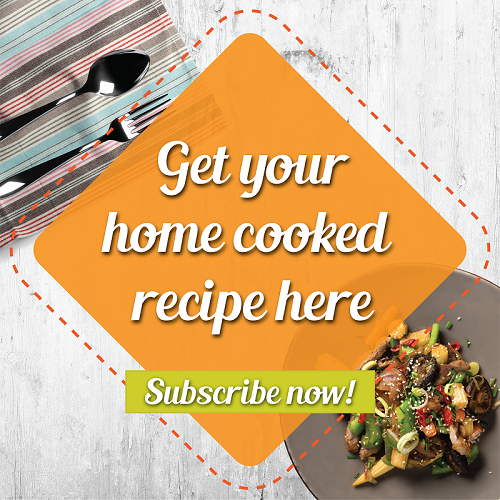 This Asian inspired recipe brings you the classic Laska flavour in the oven baked chicken. This Baked Laksa Chicken brings the familiar taste of local favourites to your dining table. Inspired by the Peranakan dish Laksa, a street food dish that is popular in Malaysia and Singapore. Place all the ingredients and 2 tbsp of olive oil into the blender. Blend till the paste has a smooth consistency. In a heated frying wok, add the remaining olive oil and paste. Fry on low heat for about 10 mins, till it’s fragrant and oil is released from the paste. Season with salt and sugar, as desired. Remove wok from stove, leave aside to cool. Once it has cooled down, drain out the excess oil. Use only the paste to marinate. Add coconut milk into the chilli paste, mix evenly. Scoop 4 tbsp and set aside to cook the chilli gravy as the final step. Gently separate the skin away from the chicken leg and use a knife to make a small incision in the meat. Rub the mixture onto the chicken and make sure it goes under the chicken skin. Add in the pandan leaf and give it a good mix. Seal the container and place it in a chiller. Marinate for at least 8 hours. Preheat the oven at 165OC for 20 mins. Place the chicken in the oven, middle tray with top-down heat, and bake for 45mins - 1 hr 15mins, till the chicken is cooked through. To test whether the chicken is cooked through, use a toothpick and pierce into the middle of the chicken leg. If you can pierce through and remove the toothpick smoothly, it means that the chicken is cooked. In a heated pan with 1 tbsp oil, saute the onions for 1 min. The onion should remain crunchy. Add in pineapple cubes, remaining laksa paste and pineapple syrup. Bring it to a quick boil and reduce heat. Cook for 1 – 2 minutes and turn off the fire. Remove the chicken from the oven. Remove the pandan leaves. Pour the pineapple onion sauce over the chicken and garnish with chilli and spring onion.